Slice off the top and bottom of the orange, then peel all round the fruit down to the flesh. Dice the orange and the avocado. 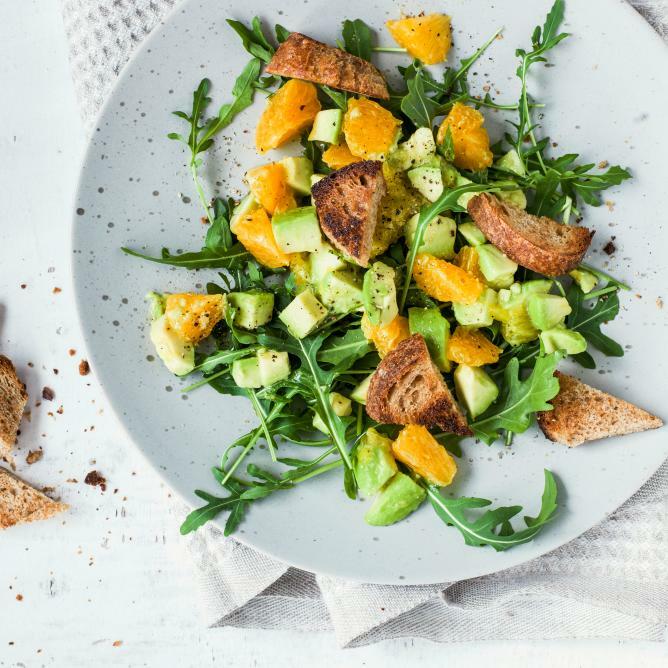 Mix the orange, avocado and oil in a bowl, season. Heat the oil in a frying pan, fry the slices of bread on both sides until golden brown, allow to cool a little, cut into pieces, add to the bowl along with the rocket, mix everything together and serve immediately.